On Tuesday a group of us wanted to visit the Forbidden City and Tiananmen Square. When we arrived at the entrance to the Forbidden City, we found out that it was closed for the upcoming holiday. 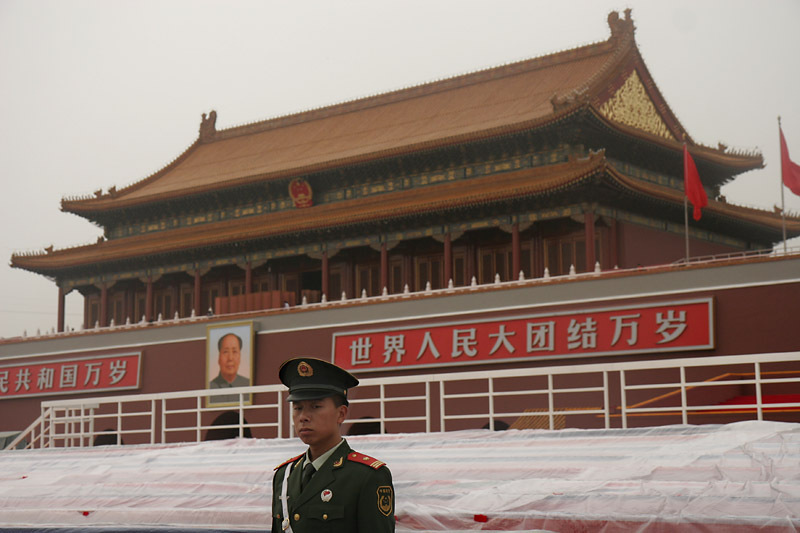 With preparations being made for the 60th anniversary of the People's Republic of China, security was high, and access to many landmarks was prohibited. A guard stands in front of the gateway to the Forbidden City, which was unfortunately forbidden. Tiananmen Square, however, was open and full of people observing its many monuments. But not long after we arrived, a police van began driving around the square announcing in Chinese and English that everyone had to leave the square immediately. 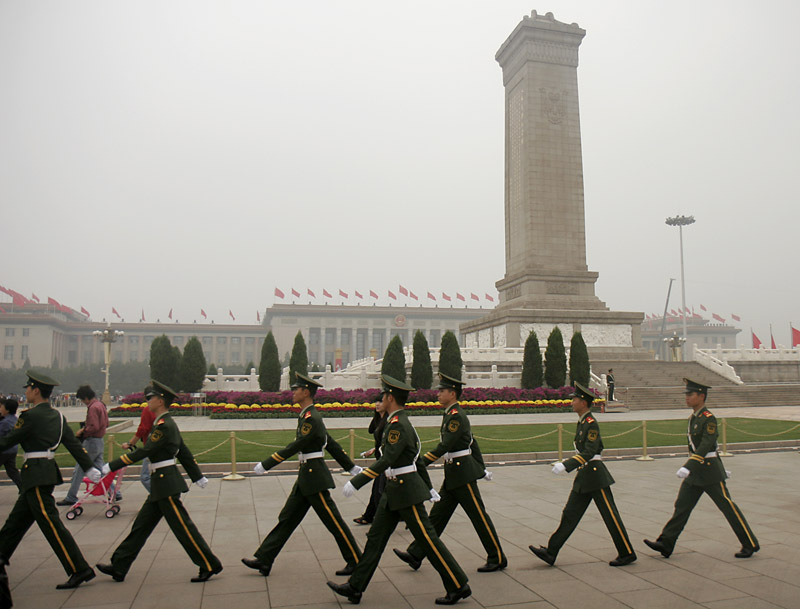 Guards march through Tiananmen Square forcing hundreds of visitors to leave the area. It sounds like everyone got kicked out so the government could prepare the area for upcoming celebrations. But I was a bit nervous at the time, especially in light of past events that have happened in the square. Everything turned out all right, and now I can say I was removed from an area by a communist government.